At birth, babies can’t see as well as older children or adults. Their eyes and visual system aren’t fully developed. But significant improvement occurs during the first few months of life. Up to about 3 months of age, babies’ eyes do not focus on objects more than 8 to 10 inches from their faces. look intently at a highly contrasted target, babies have not yet developed the ability to easily tell the difference between two targets or move their eyes between the two images. Their primary focus is on objects 8 to 10 inches from their face or the distance to parent’s face. For the first two months of life, an infant’s eyes are not well coordinated and may appear to wander or to be crossed. This is usually normal. However, if an eye appears to turn in or out constantly, an evaluation is warranted. Although an infant’s color vision is not as sensitive as an adult’s, it is generally believed that babies have good color vision by five months of age. By the age of nine to twelve months, babies should be using their eyes and hands together. position. By 10 months of age, a baby should be able to grasp objects with thumb and forefinger. By two years of age, a child’s eye-hand coordination and depth perception should be well developed. There are many things parents can do to help their baby’s vision develop properly. The following are some examples of age-appropriate activities that can assist an infant’s visual development. Use a nightlight or other dim lamp in your baby’s room. Change the crib’s position frequently and change your child’s position in it. Keep reach-and-touch toys within your baby’s focus, about eight to twelve inches. 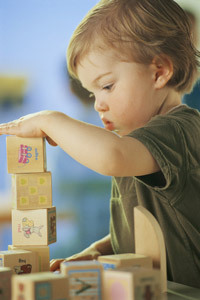 Toys like building blocks can help boost fine motor skills and small muscle development. Play patty cake and other games, moving the baby’s hands through the motions while saying the words aloud. Name objects when talking to encourage the baby’s word association and vocabulary development skills. Read or tell stories to stimulate the child’s ability to visualize and pave the way for learning and reading skills. An infant should receive his or her first eye exam between the ages of 6 and 12 months. should take your baby to your doctor of optometry for his or her first thorough eye examination. 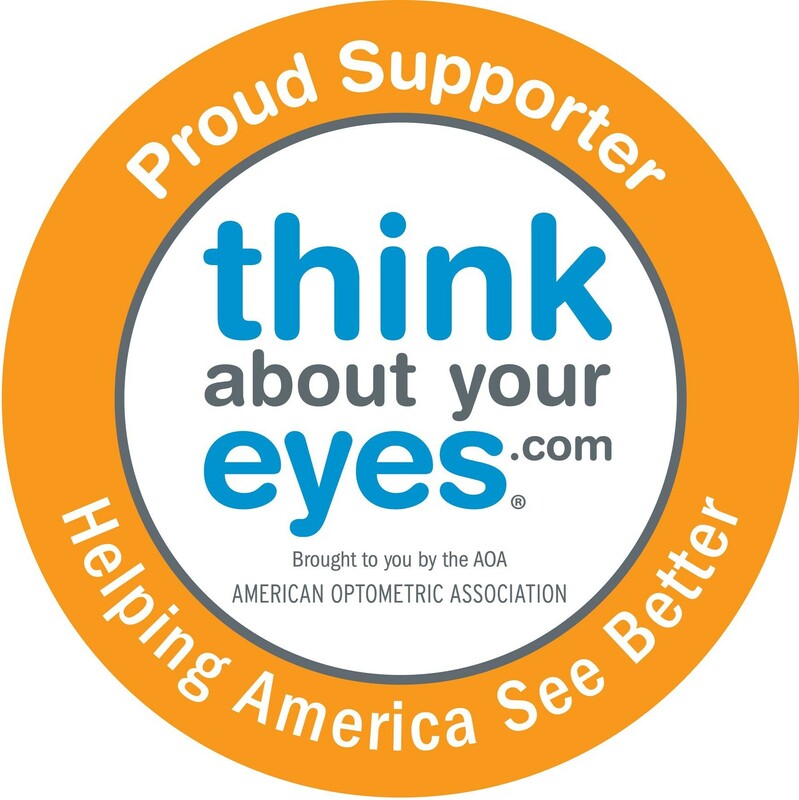 InfantSEE® is the American Optometric Association’s public health program designed to ensure that eye and vision care becomes an integral part of infant wellness care to improve a child’s quality of life. Under this program, participating optometrists provide a comprehensive infant eye assessment between 6 and 12 months of age as a no-cost public service. Click here to learn more and locate a doctor in your area who can provide the free infant assessment.